Craft beer has exploded in popularity.  Coralville and Iowa City have some great places to enjoy craft brew on tap along with a great bike ride. Sure, there are more places to find the fine suds, but we wanted to keep the stops limited so you don’t get too tipsy along the way. Please drink responsibly. Park at the Iowa River Landing area. Long-term parking is available at the ramps. First stop: 30 Hop. It has over 60 beers on tap and a great patio on the 2nd level. Second stop: Mondo’s ReUnion Brewery. Great ambiance and wonderful buffet on Sundays. Next stop: Old Chicago. Known for the Around the World Beer Tour. Next Stop: The Sanctuary. An Iowa City classic for great brews. Need some beer to go? Check out the selection at the New Pioneer Coop. Do some shopping at John’s Grocery. They have an extensive selection of beers. Return to past Brewery Square. In olden days, beer was stored in caves beneath the street. Finish at Backpocket Brewing Company. This is the largest brewery in Iowa. Most of the route is on trail, but some roads are required. You could use any type of bike for this ride. Don’t forget a lock. Take your time and enjoy this ride at any fitness level. Water and food is available at most of the stops.